Figure 1. System of P. aeruginosa acquiring heme. Professor Yoshihito Watanabe, Associate Professor Osami Shoji, Ms. Chikako Shirataki (D3) at the Graduate School of Science, Nagoya University, and their co-workers have developed a novel method to inhibit Pseudomonas aeruginosa. Their paper was published in the online edition of Angewandte Chemie International Edition on February 7, 2014, and it will be featured as an inside cover for the paper-based journal. The work has attracted broad attention as a new bacterial-targeting system that can be practically applied. P. aeruginosa is a bacterium that can be found in the environment, particularly around wet areas. It is rarely harmful to healthy people; however, individuals with low immunity, including long-term inpatients, are at high risk of infection because the bacterium triggers various symptoms and can be potentially fatal. In 2014, the death of 11 inpatients was reported due to P. aeruginosainfection at a hospital in Osaka, Japan. The infection is naturally resistant, and also acquires resistance to a large range of antibiotics over a short period of time. Therefore, the development of a new approach to inhibit the bacterium that can replace medicines has long been awaited. Figure 2. Typical steps of the heme-uptake process by HasA. Figure 3. An artificial HasA blocks the specific interaction domain and inhibits heme transfer. 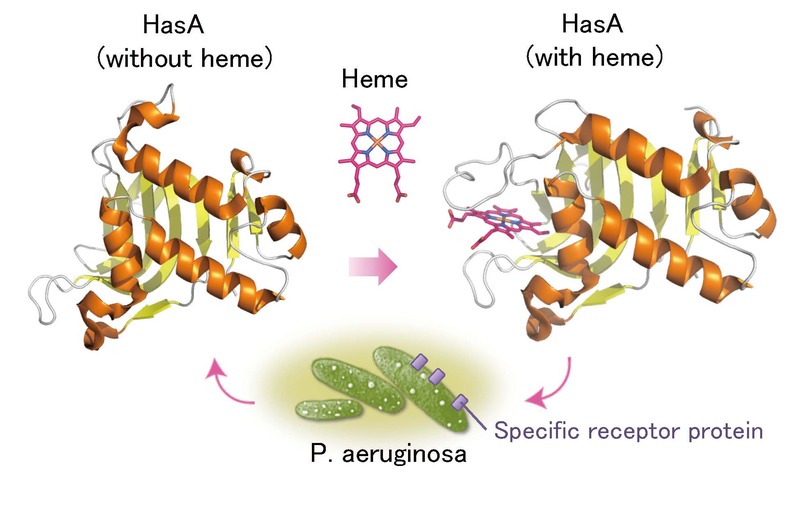 To this end, Prof. Shoji's group focused on the mechanism of P. aeruginosa acquiring heme for growth, and devised a measure to use the mechanism to inhibit the bacterium. P. aeruginosa excretes heme acquisition system A protein (HasA), to capture heme from hemoglobin in red blood cells. As illustrated in Figure 2, once heme has been occupied by HasA in hemoglobin, it is transported to a corresponding receptor (HasR). HasA is capable of continuously repeating the process and plays an important role in the nutritional support of P. aeruginosa. To probe this process, Prof. Shoji and colleagues prepared Fe-phthalocyanine (Fe-Pc) and succeeded in executing its false capture byHasA protein. Fe-Pc has an analogous structure to heme, but is a synthetic molecule that does not naturally exist; thus, was foreign to the P. aeruginosa bacterium. His group replaced heme with an artificial Fe-Pc complex, and added this "artificial HasA" to P. aeruginosa cells. As a result, HasR could not distinguish between natural and artificial HasA, and readily accepted the artificial equivalent. Subsequently, the artificial complex would continue its delivery of Fe-Pc to HasR; however, rather than permitting its release, the complex would be fixed on the receptor. Thus, the artificial HasA ended up completely blocking off the receptor. Consequently, this prevented P. aeruginosa from multiplying because of nutrient deficiency. The novel method proposed here enabled the inhibition of the bacterium without antibiotics. 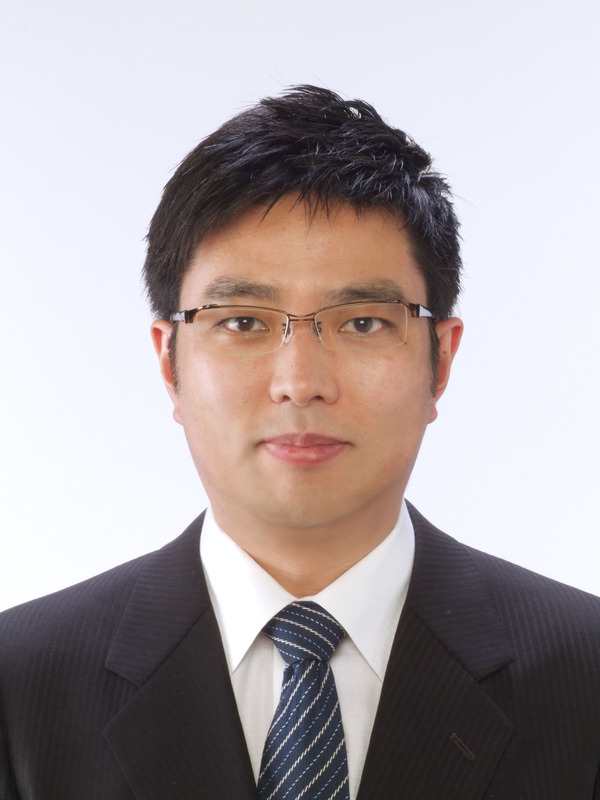 Currently, Prof. Shoji is collaborating with researchers at the Graduate School of Medicine, Nagoya University, to investigate the possibility of its clinical application. The research is expected to generate new disinfection methods by employing similar starvation tactics. Associate Professor Osami Shoji speculated the molecule P. aeruginosa disliked the most when taken in falsely, and chose Fe-phthalocyanine, a simple colorant used for the manufacturing of bullet train bodies for the Tokaido Shinkansen line in Japan. His group first drove HasA to capture Fe-Pc and produced an artificial HasA-Fe-Pc complex, which was exposed to P. aeruginosa infection. Remarkably, the team was successful in deceiving P. aeruginosa to accept the complex, which resulted in non-propagation of the bacterium. 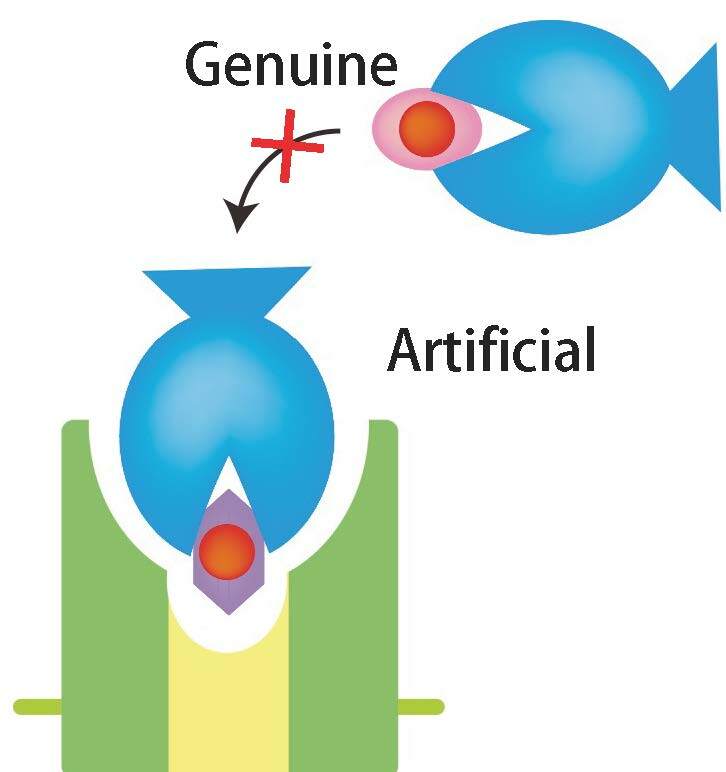 False recognitions and glitches are often observed in protein-protein interactions and in protein recognition of low-molecular weight compounds. Prof. Shoji effectively utilized the intriguing phenomena with positivity. "Currently, my group is investigating the detailed mechanism of how the artificial HasA with Fe-Pc can inhibit the propagation of P. aeruginosa. The aims of our research are to elucidate the inhibitory mechanism and simultaneously develop a reactive system that can eliminate the bacterium, with a synthetic metal complex that can potentially be captured by HasA. We hope our research will contribute to the critical medical treatment of multidrug-resistant P. aeruginosa hospital-acquired infection." "I believe many people have been encouraged and moved by the exceptional performances of Olympic athletes at Sochi, Russia. I hope the same enthusiasm and motivation can be cultivated in academia as well, to both encourage and inspire people. Interestingly, research and sports have a common ground; although you try your best, it does not necessarily work out as planned, and during this time you face several challenges and obstacles. However, the aim is to persevere and stay determined, as I believe that we can advance step-by-step, if we continuously invest our efforts for the future."